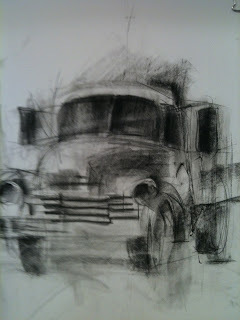 A recent visits to the coast of Oregon, farmland and great old trucks. Perhaps, I should paint it yellow. I like this very much, Anita. I think the graytones add to its story.